"Where THE F*** is our INTERRACIAL COUPLE EMOJI ?!?!?! 💑💁🏼‍♀️👨🏾"
"Hello @Apple please get your s*** together and get us an interracial couple emoji before my girl gets mad." Social media is full of indignant complaints about the "missing" interracial couple emoji. But it's a really hard problem to tackle — one where Tinder teamed up with Emojination, a grassroots group whose motto is "emoji by the people for the people," to work with Unicode Consortium to make it happen. 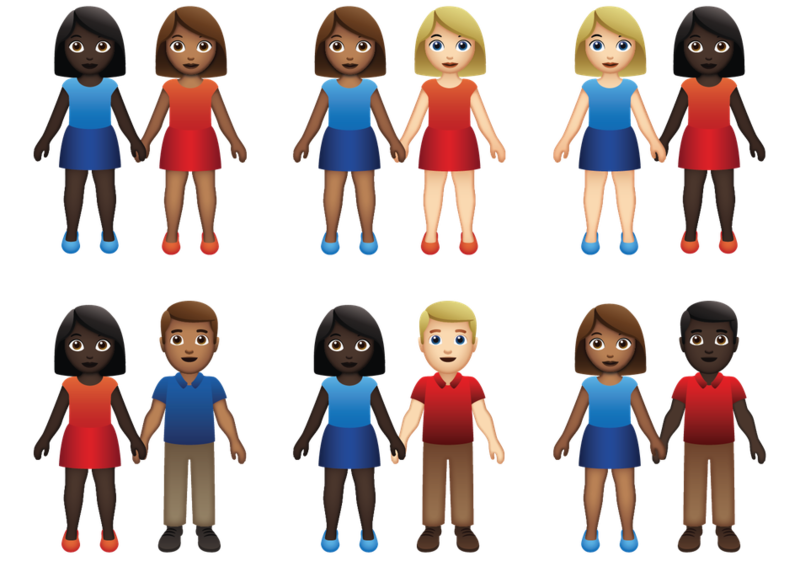 The interracial couple emoji is a fascinating case study for (almost) everything you need to know about the element in emoji approval process — Unicode, public demand, skin tones, tech companies, and user interface conundrums. Learn how you can take play a role in the emoji approval process.